Over the last year, Jordan Peterson has seemingly taken the world by storm. His presence is nearly ubiquitous—television appearances, podcasts, and many hours of recorded Youtube videos. Jordan Peterson is everywhere. In January 2018, his second book, 12 Rules for Life was published. A longer and more technical book, Maps of Meaning, appeared in 1999. To many, Jordan Peterson is dangerous. He is a mouthpiece of the alt-right and must be stopped at all costs. 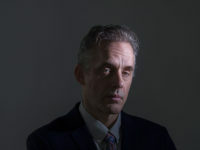 To others, Peterson appears a voice of reason and objectivity in a culture where political correctness has gone unchecked and the far left has successfully subverted cultural norms. So why has Peterson attracted so much attention? Is it because of his ideas or how he presents his ideas? I would suggest it is a little bit of both. I recently went to see Jordan Peterson at one of his 12 Rules for Life events. Upon arriving at the venue, I was taken aback by the sheer number of attendees. By my estimate, there were between 2,500 and 3,000 people there. According to the venue sponsor, the show was sold out. Apparently, all of his shows in North America have been sold out. I spoke with several other attendees. They were people from all walks of life and all ethnicities, what seemed like a cross-section of America. I spoke to one young man who had brought his mother along with him. He said he had recently dropped out of college and wanted direction in his life, which Peterson had given him. Most of the people were carrying 12 Rules for Life. I spoke to a few other young men (late 20s) when I sat down and they said they loved his ideas. These young men were not “right-wingers,” one was a biochemist from Modesto and the other a financial planner from Sacramento, just ordinary people. I brought up Carl Jung and their eyes widened. Because of Peterson, they had gone out and bought Jungian literature and asked me to suggest a good introductory book on Jung’s ideas. Jordan Peterson finally arrived. He looked the same in person as he did on Youtube and in his various television appearances. The audience listened to him and during his 90-minute talk, he never talked politics nor did he mention anything about gender neutral pronouns. Even my wife, a nice liberal girl from Portland, enjoyed his talk and found nothing he said controversial. What was most peculiar about his speech wasn’t what he said, but how elegantly and effortlessly he talked about “big ideas” that most people, regardless of politics or class, have a genuine interest in. Peterson expressed himself very clearly and intelligently during his talk, and I imagine that is one of the reasons he appeals to so many people, not just white males or adherents to the so-called alt-right. Regardless of whether one agrees with some of his political views, it’s difficult to deny that he has a knack of articulating ideas. He is very articulate and I imagine that is one of the reasons he is so attractive to people in general. Moreover, although he did not explicitly say it, most of what he was saying was based on Jungian concepts, theories, and ideas (e.g., individuation, archetypes, complexes, the shadow, the self, typology, etc.). He mentioned Jung several times throughout his lecture and even cited alchemy. It seems to me that Jordan Peterson should give us all pause. Regardless of whether one agrees or disagrees with him, any reasonable person should be able to agree that his ability to articulate Jungian ideas has contributed to his ascent in the popular imagination. I looked around during the talk, and people were listening attentively to what he was saying with quasi-religious interest. It was very fascinating to watch. I am actually pleased that Peterson has attracted such attention. If nothing else, his popularity has helped foster a resurgence of interest in Carl Jung and his psychology, which I feel is long over due.